Nation's largest healthcare clowning organization adds another of America's preeminent pediatric institutions to its ranks. New York, NY, August 23, 2018 — Healthy Humor (HH), the nonprofit arts organization whose professional performers create moments of joy, wonder, laughter and comfort for hospitalized children and all others who are most in need, is delighted to announce the expansion of its Red Nose Docs program to Cincinnati Children’s Hospital Medical Center. Cincinnati Children’s ranks second in the nation among all Honor Roll hospitals in U.S.News and World Report’s 2018-2019 Best Children’s Hospitals ranking. The program will begin operations at Cincinnati Children’s in the fall, bringing the total number of HH hospital partners to 14. 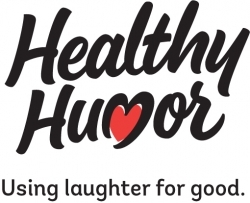 Healthy Humor (HH) is a non-profit arts organization whose professional performers create moments of joy, wonder, laughter and comfort for hospitalized children and all others who are most in need. It was founded in June 2016 by three alumni of the Big Apple Circus Clown Care program with more than 60 combined years of healthcare clowning experience: Dina Paul-Parks (CEO), Karen McCarty (Artistic Director) and Deborah Kaufmann (Director of Training and Education). HH now employs approximately 70 performers serving more than 200,000 families every year in 13 other pediatric facilities across the country: Yale-New Haven Children’s Hospital, Saint Barnabas Medical Center (Livingston, NJ), Memorial Sloan-Kettering Cancer Center, Bronxcare Health System, Harlem Hospital, Jacobi Medical Center, Brookdale University Hospital and Medical Center, Children’s Hospital of Philadelphia (CHOP), Johns Hopkins Children’s Center, Children’s National Medical Center, Nicklaus Children’s Hospital (Miami, FL), La Rabida Children’s Hospital (Chicago, IL) and Children’s Hospital of Orange County (CHOC). For more information, please visit www.healthyhumorinc.org. Cincinnati Children’s, a nonprofit academic medical center established in 1883, is one of the oldest and most distinguished pediatric hospitals in the United States. The hospital offers comprehensive clinical services, from treatments for rare and complex conditions to well-child care. In the 2018-19 U.S. News & World Report survey of best children’s hospitals, Cincinnati Children’s ranks No. 2 among all Honor Roll hospitals. With more than 600 registered beds, Cincinnati Children’s had more than 1.3 million patient encounters and served patients from all 50 states and 58 countries, including 589 international patients, in fiscal 2017. For more information, please visit www.cincinnatichildrens.org.